Another Trumpette winner! These socks are sure to delight! 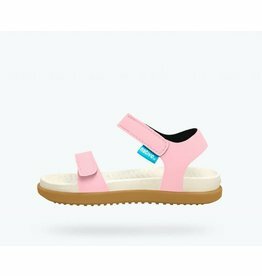 Style starts at the sole with the Charley, Native's strapped-in sandal for the warm summer months. 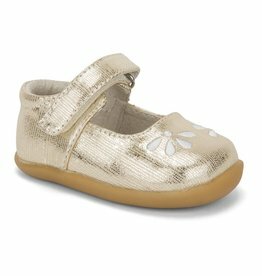 Her early steps will feel as good as they look in these soft leather Mary Janes with fun floral embroidery and adjustable hook and loop strap. A fun and sweet fisherman sandal with flower cutouts and summery tints complement any outfit. Playtime is a breeze in all-leather uppers and a flexible rubber sole that provides extra traction. It’s the leader of lite-ness and Native's original EVA all-star, the uncompromisable Jefferson! 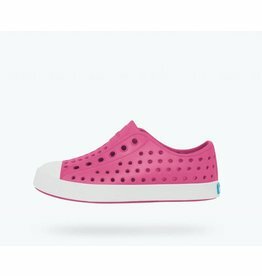 This playfully printed lightweight trainer is perfect for those early steps. Comfortable materials, a gripping rubber outsole and adjustable closure ensure safe and secure wear. Don’t these little shoes just make you want to smile? 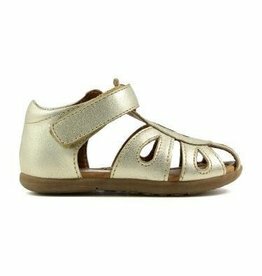 With their comfortable hook-and-loop strap closures, the Mary Janes have always been a go-to. Complete with a shimmer print upper, the Fana is sure to be a winner. They’re never too little to sport a snazzy sneaker. Available in charming colors, the Lex is a practical shoe that always looks great. Built for growing feet, this sneaker is guaranteed to keep them comfortable and happy.